It is now four years since the 2008 Mumbai massacre. In late November that year eleven members of a Lashkar-e-Taiba (LET) gang perpetrated a two-day bloodbath in Mumbai, comprising eleven co-ordinated shooting and bombing attacks. Ten of the perpetrators were killed by Indian security forces, only Ajmal Kasab survived. Fingers immediately pointed at Pakistan, and at the now widely-acknowledged connections between LET and the Pakistani security agency the ISI. The truth is perhaps even darker and murkier than that. Dozens of dossiers of information were exchanged between the Indian and Pakistani governments and while Indian authorities claim to have identified dozens of co-conspirators, to date not a single person has been extradited from Pakistan to India for charging, let alone interrogation and prosecution. Kasab was found guilty of an act of war and was sentenced to death, a judgment that was recently upheld by the Supreme Court of India. One other alleged co-conspirator, an Indian Muslim named Zabiuddin Ansari who is suspected in several cases, was recently deported to India from Saudi Arabia. Meanwhile, the only man aside from Kasab to have been prosecuted in connection with the Mumbai attacks, Tahawwur Rana, is languishing in a US prison. Rana was a close friend of David Headley, the US-Pakistani mastermind of the Mumbai attacks. Headley and Rana were both arrested in October 2009 and accused of plotting a shooting and bombing attack against the Jyllands-Posten, the Danish newspaper that generated the 2005-6 Mohammed cartoons controversy. 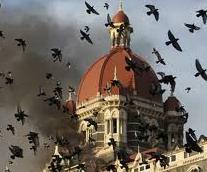 They were subsequently accused of being part of the conspiracy behind the Mumbai massacre. Headley co-operated quickly and fully, pleading guilty to all the allegations in March 2010. In 2011, Headley became the key prosecution witness against his lifelong friend Rana, who contested the allegations against him that he had knowingly used his travel business to provide cover for Headley’s trips to India and Denmark to carry out surveillance in preparation for the attacks. In June 2011, Rana was acquitted of involvement in the Mumbai attacks, but found guilty of involvement in the ‘Danish newspaper plot’ and of providing material support to LET. Rana maintains that he was Headley’s dupe. Rana is due to be sentenced by the end of the year, having failed in his attempted appeals. Headley, who has pleaded guilty to anything and everything, has not yet been sentenced. It is not certain whether he’ll become another Ali Mohamed and just disappear (neither man can be found via the US prison system’s prisoner locator) or another Junaid Babar and be given an extraordinary light sentence given his admitted involvement in international terrorism. As part of his plea agreement, Headley will not be extradited to India and will not face the death penalty in any country. US Embassy cables made available via the Wikileaks cabledump show that in the immediate aftermath of the attacks the question of ISI complicity was being discussed in diplomatic circles. A December 2nd 2008 message shows that in a meeting between officials from the US, UK, Australia and New Zealand they took the notion of ISI involvement seriously. Indeed, the sophistication of the massacre – having 11 men carry out 11 separate but co-ordinated attacks, is very much reminiscent of special forces operations. It is hard to see how such sophisticated attacks could have happened without some kind of military involvement. A few weeks later on December 23rd another cable record comments made in the Indian parliament suggesting that the Mumbai attacks had been exploited to carry out the murder of Hemant Karkare, the chief of the Maharashtra Anti-Terror Squad, and his two colleagues Ashok Kamte and Vijay Salaskar. Karkare was investigating various attacks known or suspected to have been carried out by the Hindutva radicals, and the connections between the Hindutva and the Indian state. The cable notes how, ‘authorities recently arrested eleven Hindus, including an Indian Army Lieutenant Colonel’. The classified comment at the end of the cable does concede that, ‘the killing of three high level law enforcement officers during the Mumbai attacks is a remarkable coincidence’. These allegations have faded into the background of the public discussion about the Mumbai slaughter, though many suspect there was a Saffron aspect to what happened. Narayanan went along with this request, and responded saying, that it was “difficult not to be seen making the effort,” but that the government was not seeking extradition “at this time.” Narayanan added that the Indian government would be “in the hot seat” if it ‘were seen as pre-emptively relinquishing extradition’. A couple of months later, the Indians did make a firm request to be able to speak to the co-operating Headley, via a meeting between FBI Director Robert Mueller and Indian Home Minister P Chidambaram. The request was again a question more of public perception than intelligence and security, with Chidambaram saying that, ‘we must be able to say we had access, even if Headley did not speak’. A few weeks later, Headley formally changed his plea to guilty, and secured the deal that means he will never be extradited to India. Eventually the Indian National Investigation Agency (NIA) did file charges against Headley, on Christmas day 2011. Clearly public perception of an attempt to bring Headley to justice remains the priority, in the absence of any actual attempt to get near the man. The elephant in the room is that Headley was for several years in the 1990s an informant and asset of the US Drug Enforcement Administration. Despite repeated busts for international heroin smuggling, Headley received short sentences and was always quickly put to work spying on drugs gangs. By the late 1990s he was regularly travelling to Pakistan on DEA business. Shortly following 9/11, this high-functioning heroin-addicted spy had his ‘supervised release’ prematurely terminated. For no clear reason the restrictions on Headley that meant he could only travel round the world with prior approval, and only for limited periods, were lifted. The obvious explanation is that the CIA found out about Headley and decided, post-9/11, to put him to work spying on Pakistani terror gangs, them being hand-in-glove with the Pakistani drugs gangs that Headley had successfully infiltrated. However, the CIA deny ever employing Headley, and the DEA claim that some time in 2002 he stopped working for them. According to Headley, it was around this time that he first got involved with LET and the ISI. It is some coincidence, that (at least officially) just as he happened to drop off the US authorities’ radar he got involved with organisations the US authorities would be very interested in spying on and manipulating. For the next 7 years Headley moved around freely, without interference from the authorities. In early 2006 he changed his name, from Daood Gilani to David Headley. He says he did this to enable him to travel in India more easily, as a white-skinned man with an English name he would arouse little suspicion. The problem with this story is that Headley had every reason to suspect that the US authorities were still keeping tabs on him. They had been warned about him numerous times by several of Headley’s various wives and girlfriends, which Headley knew about. Unless he was working for them, why would he risk doing something as suspicious as changing his name (and keeping the same social security number)? At no stage in his court appearances or in the records of his interrogation has Headley suggested he was ever worried about being caught by the US authorities, and yet that’s exactly how he ended up. Even that was only after British intelligence told the US that he was planning an attack on the Danish newspaper. If Headley was working undercover for the US to infiltrate LET, and possibly as a triple agent to infiltrate the ISI’s relationship with LET, then that implicates people within the US government in the Mumbai attacks. This possibility was, of course, not discussed for one moment in the embassy cables. But why would the US want the Mumbai massacre to happen? Why Mumbai? There are several possible reasons. The November 2008 massacre was used as the inspiration for a new terror meme – the ‘Mumbai-style attack’. Ever since then the mainstream media has recycled this phrase over and over, particularly in Europe. Warnings of such an attack by the supposed vast network of Islamic militants across the continent were pronounced in the national and international press. It therefore must have come as no surprise when in summer 2011 a Mumbai-style semi-targeted bombing and shooting rampage was carried out in Norway. Curiously, when the perpetrator turned out to be Anders Breivik, a white Christian conservative radical, there was no mention of the obvious parallels with the Mumbai attacks. The Mumbai attacks also ‘christened’ the new Obama regime, acting as a horrifying totem to the new President. They also helped implement a new diplomatic strategy based around abandoning the long-held close relationship with Pakistan that had been forged in the 1970s. Pakistan became the focal point for speculations, allegations and suspicions about state-sponsored terrorism and the primary testing ground for the new ‘drone strike’ technology which has in four short years become the ‘new normal’. Mumbai presented an opportunity to realign priorities in the whole Middle Eastern and Central Asian region. So are we seeing a geostrategy of tension in the region, heightening tensions between India and Pakistan, and by extension between India and China? By pitching India against Pakistan in a diplomatic battle over responsibility for Mumbai have the masters of the dark arts of terror spun a clever illusion, deflecting attention away from Headley, and therefore away from themselves? One CIA document on the Headley case does suggest this. Another Wikileaks document comes from the CIA’s Red Cell, responsible for ‘taking a pronounced “out-of-the-box”approach that will provoke thought and offer an alternative viewpoint on the full range of analytic issues.’ The memo is titled, ‘What If Foreigners See the United States as an Exporter of Terrorism?’ and is dated February 5th 2010. That is only a few weeks before the Indians requested access to Headley, regardless of whether he would actually tell them anything. The memo lists several examples of the US being an exporter of terrorists and terrorism, from David Headley to the funding of the IRA. While it does not explicitly discuss US state sponsorship of terrorism, the implications are much the same. The Red Cell highlight how, ‘If the US were seen as an exporter of terrorism, foreign partners may be less willing to cooperate with the United States on extrajudicial activities, including detention, transfer, and interrogation of suspects in third party countries.’ All of the sources from the Mumbai case that are cited in this article can be found in my recently published e-book, the David Headley Document Collection . It is through the polarisation of diplomatic relations, the stirring of mutual suspicions, sowing the seeds of mistrust, that the geostrategy of tension operates, creating the vacuum which NATO’s claim to the moral high ground then fills. Domestically the strategy of tension is perhaps best described in the Aginter Press’s founding strategy document titled ‘Our Political Activity’ where it talked of causing chaos through terrorism, and that, ‘Popular opinion must be polarised in such a way, that we are being presented as the only instrument capable of saving the nation.’ In the Geostrategy of Tension the same principle applies, only instead of ‘Popular opinion’ read ‘Nation states’ and instead of ‘saving the nation’ read ‘saving the world’. Reading between the lines, if conclusive evidence showed that Headley was an asset of the CIA then this failure to cooperate might become outright distrust if not hostility. This would mean that NATO’s claim to the moral high ground in warfare, supposedly because NATO is the means of ‘bringing peace’ to a world wrought with polarisation and conflict, would come under serious threat. Instead, by reducing the question of ‘Why Mumbai?’ to just another chapter in the long history of tensions between India and Pakistan, many of the perpetrators (and their handlers) have got away with it. In a couple of weeks Tahawwur Rana will be sentenced in a Chicago courtroom and that will likely be the final chapter in the official story of the Mumbai attacks. However, the story already came full circle and reached a suitably unsatisfying denouement around the time of the verdict in Rana’s trial in June 2011. The verdict came only days after the death by ‘drone strike’ of Ilyas Kashmiri, one of the main alleged conspirators behind the Mumbai slaughter. Kashmiri was a major figure in the shadowy world of Pakistani Islamic militant groups as he was not only involved in LET he was also the reported leader of Harkat-ul-Jihad al-Islami (HUJI) and a liaison between these groups and Al Qaeda. It has also been reported that he was a former Pakistani Special Service Group soldier. The very policy that the Mumbai attacks helped to normalise caused the death of a man who could have shed light on exactly what happened there and who was truly responsible.